On the last day of November, my friend Jim called me up telling me he had an extra ticket to the Red Ball-an AIDs fundraiser in Denver. I had been curious about the event for a few years so despite having some work that I likely should have stayed in to get done, I took him up on the offer! Obviously at this point I have a huge closet full of relatively fancy clothes, so with less than a half hour to get changed finding an outfit wasn't an issue! 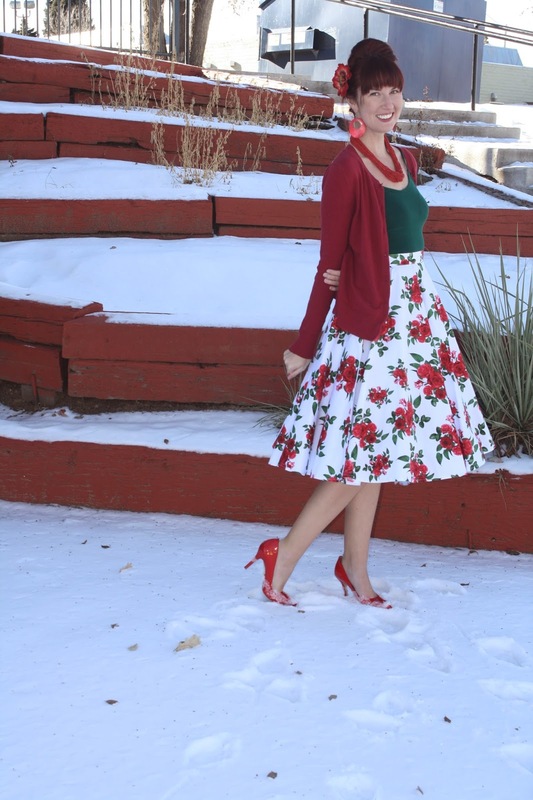 That said, it was preferable to find a red outfit AND it was 17 degrees out and beginning to (lightly) snow). With limited debating, I landed on this Bernie Dexter dress. The tights helped cover my legs on this freezing cold night, but I decided to add an extra layer to the dress to ensure more warmth using my new red petticoat! 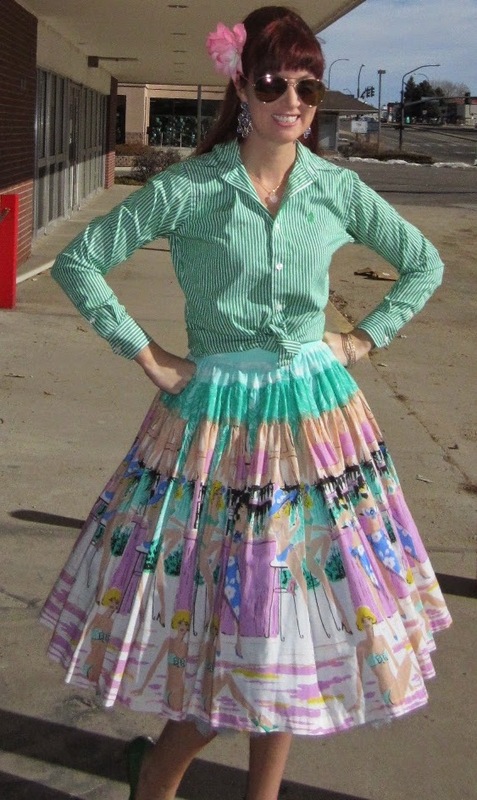 This was the first night I was super excited to be the owner of a petticoat! Our friend who was already inside the event had our tickets and we got stuck waiting outside for 20 minutes in the snow. Part of this was mind over matter, but honestly I wasn't even that cold. If anything my ears and hands were cold, but not my legs! Also...once inside the event, it was kind of fun to strut around with a little more mass to my dress. I felt more elegant than usual and I also felt like I was appropriately dressed for the evening. I'm still not sure this is an every day accessory for me...I'm growing more and more in favor of them! Thoughts- I like the drama they add in photos. And being a vintage blogger I'm glad I own two that I can experiment with. I'm still not 100% sold or "addicted" to them though. AND, I hate driving in them! Very poofy! I feel like I'm sitting in a cloud and it takes me a second to get adjusted correctly! At the end of winter or sometime this spring I'll make a third installment of this series and it will be more along the lines of what my "final thoughts" are. I'm still deciding...! Thank-you!! Ooh, I wanna know if you got anything!! Katie here! How do you determine what length petticoat you need?